In Starwood's Water's Edge is a Persian cat named Moochi who lives with his family, Cindy and Lloyd McHoes. Like all Persians, Moochi is an extremely laid back & sociable cat, but to make things interesting he keeps a few funny habits up his paw, odd-but-endearing habits that seem to come with the breed. Having always been fond of Persians, Cindy and Lloyd were involved with finding an adoptive home for the Persian cat, Ruby (Stellar Pets, Starwood Magazine, March 2012). Ruby inspired them to look for another Persian for themselves. 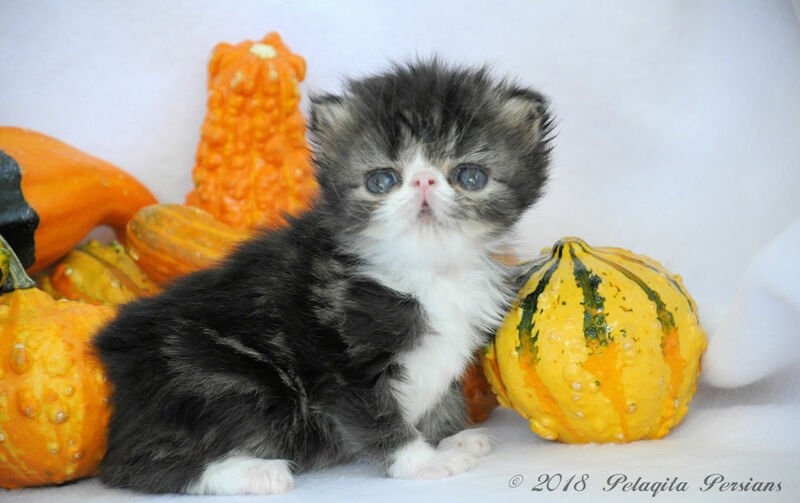 While searching the internet for breeders in Ohio (where they used to live), they saw Moochi. 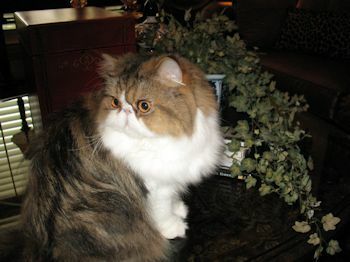 He was exactly what they wanted – a brown tabby and white bi-colored "pet quality" Persian kitten. Although his parents were "show quality" and won many awards, Moochi's markings were not quite perfect enough for showing. But he was perfect enough for Cindy and Lloyd – so much so that the next day they jumped on a plane to Columbus, Ohio to bring Moochi home to Texas. As Moochi grew, he began to show off some of his funny habits. One of his favorites is lying flat on his back and taking a nap. Another is holding up his leg for his underarm to be washed when being groomed. 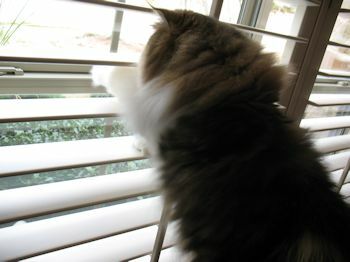 Occasionally he shows off his brainpower, such as when he puts his paw between closed window blinds to widen them in order to get a better view of the yard. He also claims favorite spots in the house to sit and sleep on, his current favorite being Lloyd's desk chair in the office. Whenever he sees Lloyd heading into the office, he races to beat him to the chair. But most of all Moochi is a beautiful, sociable cat who loves to be held and petted. He greets his family at the door and follows them around the house. A little timid at first with strangers, he warms up to them after a bit and becomes affectionate and accepting. Is he a sweet cat? He has to be, for after all, his name Moochi (mochi) means "little rice cake" in Japanese. © all rights reserved - used with permission of Starwood Magazine.